Our first shorts release for Spring/Summer 2019. Made in durable 10 oz all cotton canvas fabric from Japan. Select from two inseam lengths: 8" or 10". Made to order in your size and fit in our NJ factory. 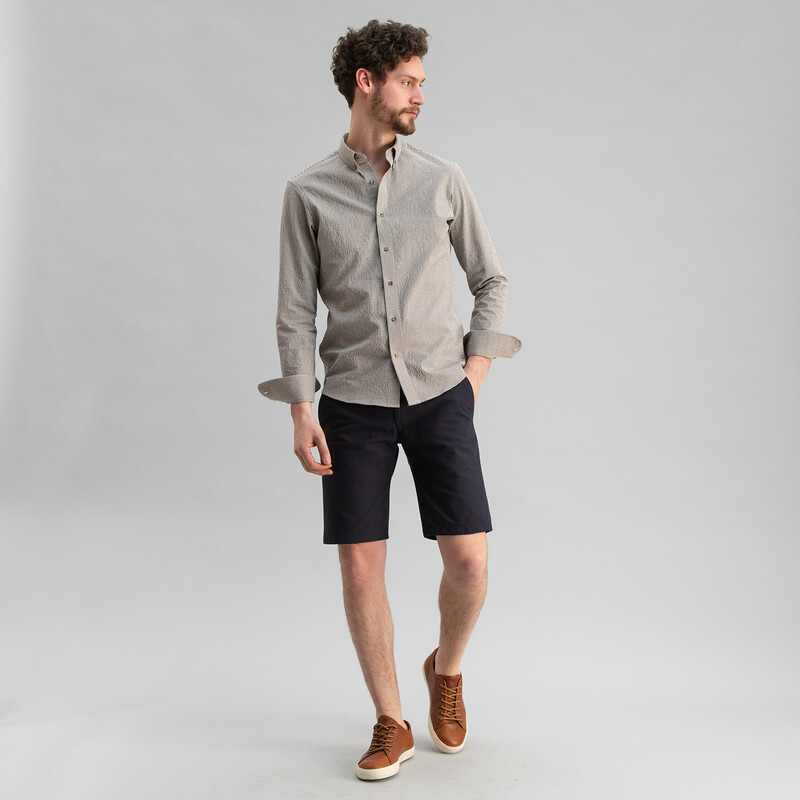 After years of customer requests, introducing Todd Shelton Shorts. The American Khaki is characterized by a densely woven, slightly weighty fabric. It holds a leg shape similar to a jean and unlike a common, floppy khaki. Four core colors, with additional colors added seasonally. The American Khaki will quickly become your go-to khaki. Traditional wool office trousers. Soft and luxurious - modernized with a current fit profile. Midweight wool twill drapes beautifully and maintains shape. Fabric from the only mill in the U.S. producing fine suiting fabrics. Traditional wool trousers for the office. Soft and luxurious.